Media Luna ist einfach. Er hat eine starke, aber sanfte Natur, und ist sehr komfortabel zu reiten. Er verfügt über einen sanften und sicheren Galopp. Er ist am besten für Personen geeignet, die gerne gemütlich reiten. Tigre ist ein sehr ruhiges Pferd, liebevoll, sanft und geduldig. Er passt sich an alle Arten von Reitern an, vor allem an Kinder. Christina ist eine ruhige Stute. Sie hat ihren eigenen Charakter und ist geeignet für Menschen, die bereits über Reiterfahrung verfügen. Playa Rincon is an incredible unspoilt beach of 5 km is lined all the way by coconut palms. It boasts the title “ one of the most beautiful beaches of the world ” and indeed, until now, it has remained protected from any hotel construction. 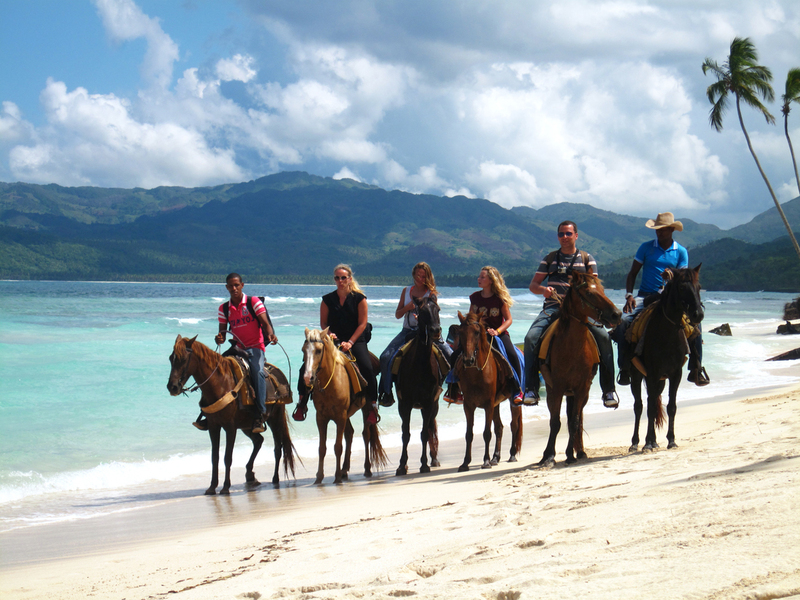 A very nice excursion for all riders taking between 2h30 to half a day depending on your desire and including the option of enjoying lunch at the restaurant of Playita. This small unspoilt beach surrounded by a turquoise blue lagoon is the perfect environment to practice snorkeling and to view tropical fish and coral. You can have a rest under coconut palms, and see bats in a cave in front of the beach. An easy 2 1/2 hour excursion. Excursion about 2h to 2h30 depending on your level of experience. A botanical excursion through the countryside culminating with incredible views of the bay of Samana and of Rincon’s Bay. 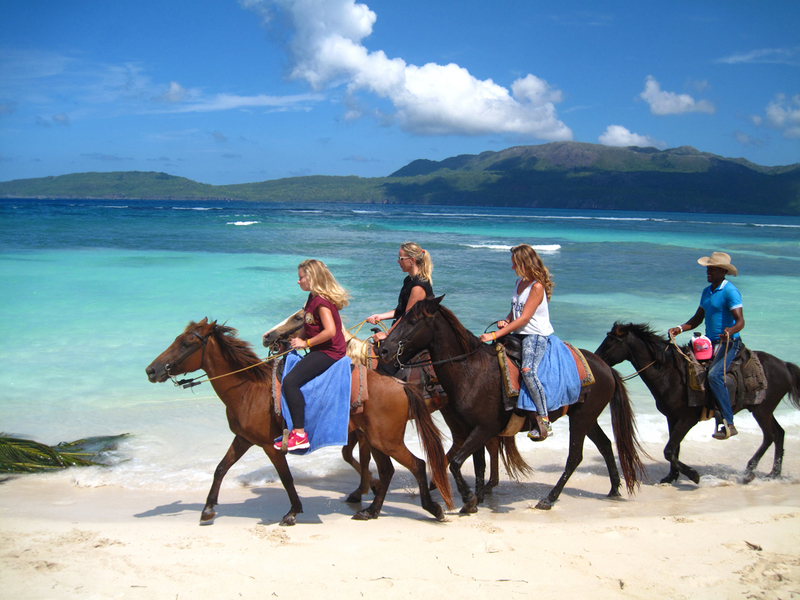 We can help you to organize a tour to this wonderful beach, by boat, or by trecking. Just contact us for more information. The path is easy, and very nice. You will cross Banana plantation, nonis trees, and admire the cliffs of the natural Reserve of Cabo Samana.